In the long list of things I never blogged about, I realized that I didn’t tell the story of the best thing Carson has ever brought home. I rounded the corner to the driveway and stopped dead in my tracks. There, in the back of his truck, was something I had been seeking for MONTHS. 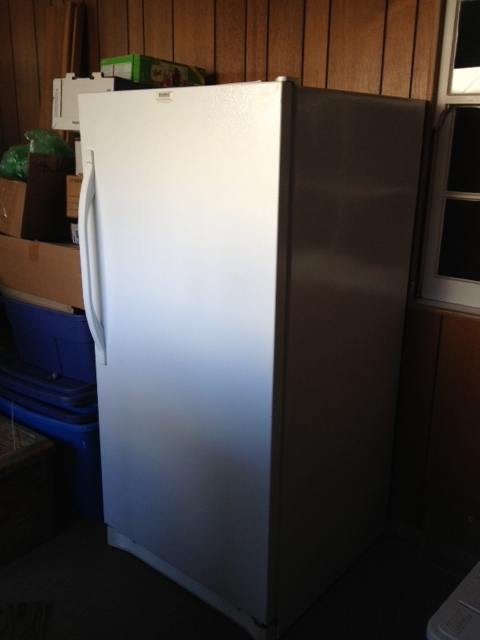 It was perfect: a used upright (most of what I’d found were chest freezers), great brand (Kenmore), and looked and smelled BRAND NEW. Even better, he got a great deal on it. 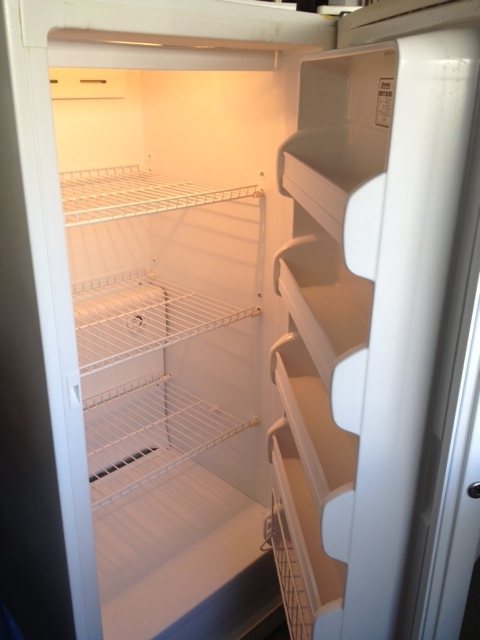 I was able to undo the 3D puzzle that was our existing freezer and spread out in this roomy new addition to our home. We immediately bought 25 lbs of beef from Mendocino Organics to celebrate, and since then I’ve been freezing with abandon. I have asked for a vacuum sealer for Christmas. If 2013 was the year of canning, then 2014 will be the year of freezing. It was the most romantic thing Carson has ever done.